Press about "A SCULPTURE EXHIBITION"
"The human form is Merrill's specialty and she sees it as part of her artistic mission. 'The human figure is an expression of emotion and ideas. And, it appears to me she said that the human form is among the highest forms of expression of life in all of creation.' 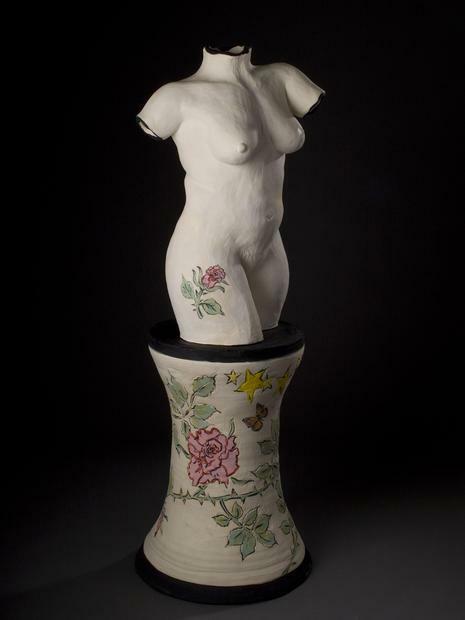 Merrill noted that the human figure (whether female or male, with or without clothing) has been the basis of all art forms in human culture for ages throughout the entire world." "Forty-nine artists contributed nearly 70 sculptures to the show in the Main Gallery, covering a wide variety of both subjects and media. Patrons marveled at the depth and breadth of the works on display." 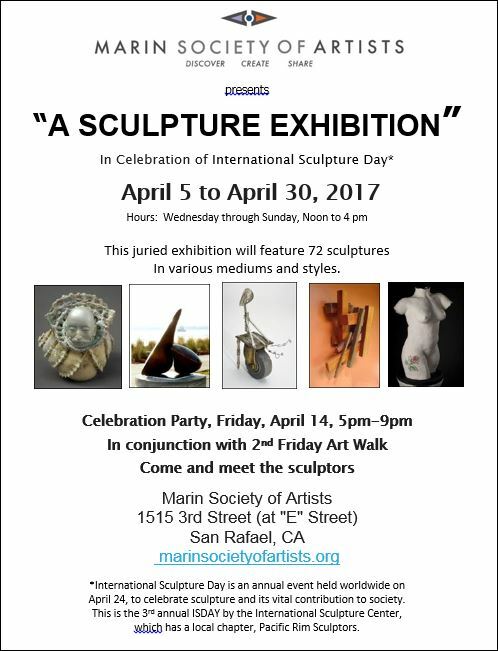 ”A SCULPTURE EXHIBITION”, April 5-30, 2017 at the Marin Society of Artists Gallery in San Rafael, CA. The exhibition is in celebration of International Sculpture Day, April 24th. International Sculpture Day is an annual event held worldwide to celebrate sculpture and its vital contribution to society. This is the 3rd annual ISDAY by the International Sculpture Center, which has a local chapter in Northern California, Pacific Rim Sculptors. A SCULPTURE EXHIBITION will have 49 sculptors displaying 72 sculptures with a Celebration Party on April 14, 5pm-9pm in conjunction with the 2nd Friday Art Walk in San Rafael.